Here you go folks, the one you’ve all been waiting for; a length of Roman rope! 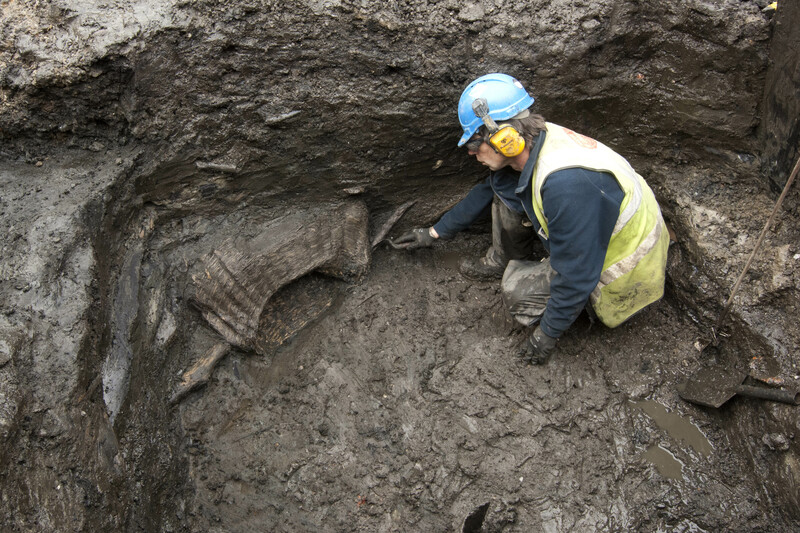 This is not something we find often, and its remarkable preservation shows the value of the Walbrook deposits. We’ve talked quite a bit about the great wood and leather objects to come off site, but as this rope demonstrates, the Walbrook’s banks can also preserve far more delicate organic objects. 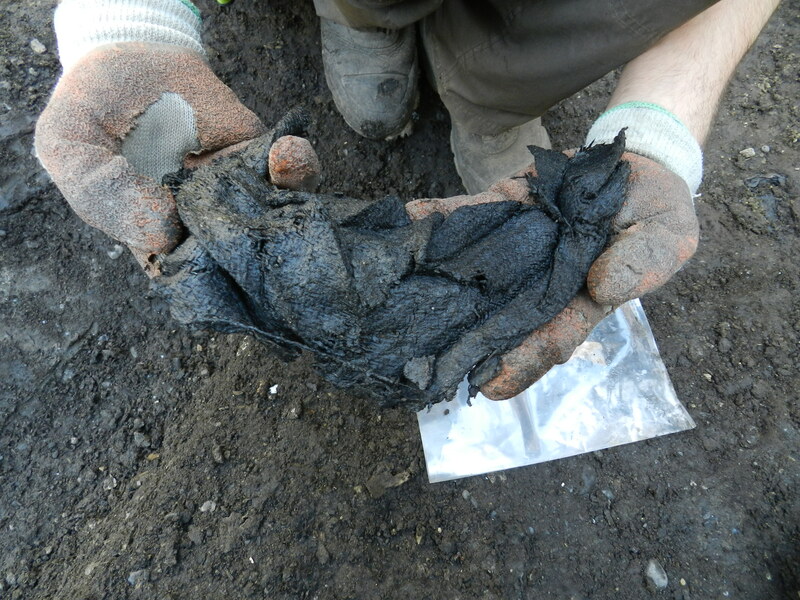 Fragments of textiles have also survived. 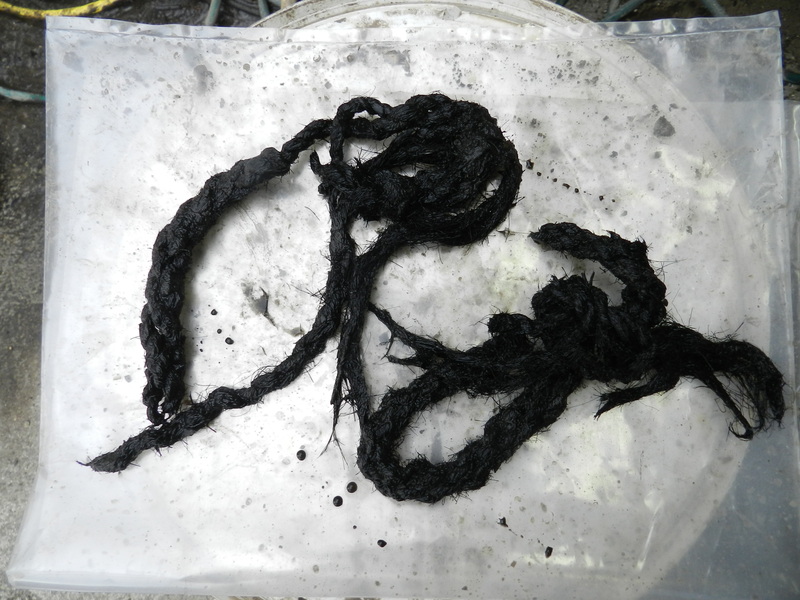 They don’t look like much here as they are far too fragile for us to attempt to clean on site, but by examining the origin of the fibres and the way in which they have been spun and woven, these textiles will be able to tell us a lot about clothing, trade and ecology in the Roman period. Other unusual organic finds include a fragment of sea sponge and a wicker basket. As in today’s society baskets had many uses. This one was found within a large make up deposit, so it possibly could have been used to carry the soil to the area but was broken so was thrown away. The most well-known usage that the Romans had for sponge is as toilet paper; they would mount them on sticks and keep them in pots of vinegar until required. If you want to know more about Roman toilet paper, you can read about an interesting theory here.